Eighteenth-century Taiwan was attractive because, compared with Fujian, food was easy to come by. However, would-be settlers first had to negotiate the Strait, which in that era was ominously nicknamed the “Black Water Ditch” (黑水溝). Those who did land safely endured uprisings, ethnic violence, and conflicts related to land, water, and camphor. Even so, for Han residents the main threats to life and health were not other humans, or snakes or wild animals, but microbes and parasites. Until around 1915, life expectancy at birth was below 30. Prescientific minds could not conceive of microscopic organisms like Plasmodium falciparum, which causes the most dangerous form of malaria, or Vibrio cholerae, the cholera bacterium. 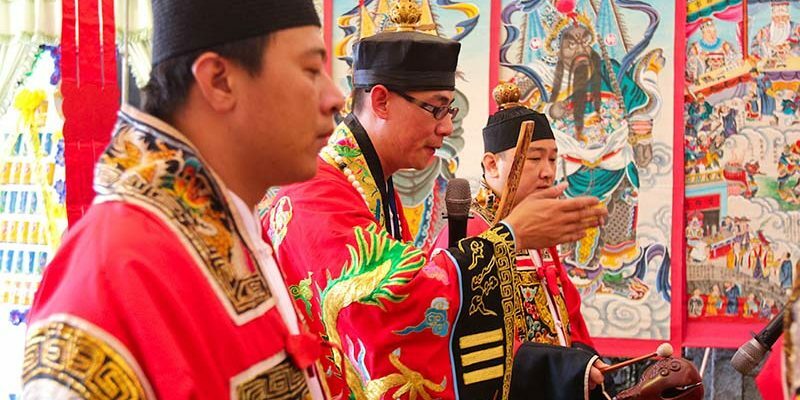 Much of Taiwan’s traditional religion, such as the worship of Wang Ye (王爺), is a response to disease. Malaria is thought to have caused the death of Koxinga in 1662, less than five months after his victory over the Dutch in Tainan. What Qing-era records described as “miasmata” (瘴, zhàng) and “pestilential vapors” (瘴氣, zhàng qì) were almost certainly malaria. On several occasions in the 19th century, the mosquito-borne killer decimated Chinese, French, and Japanese regiments sent to invade or subdue the island. 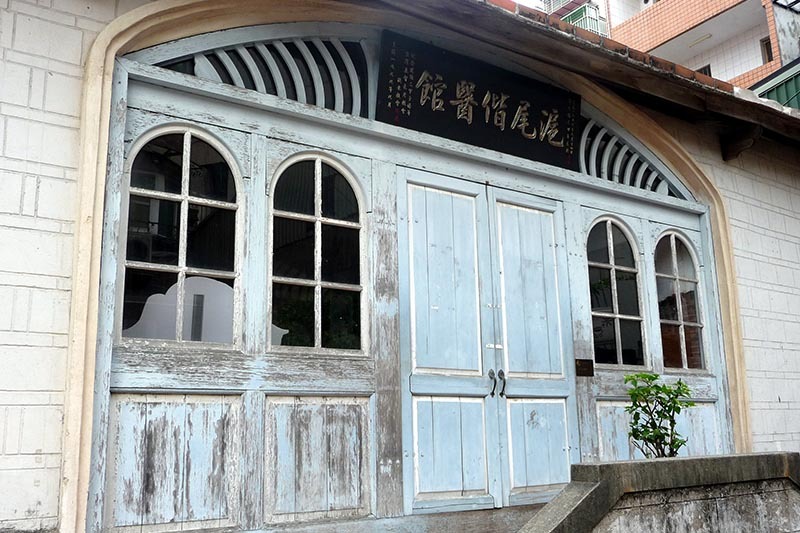 The clinic Mackay founded is still standing at 6 Mackay Street in Tamsui, although it is not usually open to the public. Hobe Mackay Hospital (滬尾偕醫館) is the forerunner of today’s Mackay Memorial Hospital on Zhongshan North Road in Taipei, as well as the second branch near Zhuwei MRT Station. Hobe, the Holo pronunciation of 滬尾, is an old name for Tamsui. Mackay chided Taiwanese for supposing “the disease to be caused by the patient unluckily treading on mock-money put in the street or on the roadside by a priest or sorcerer.” But he did not correctly understand how the malady was spread, either. It was not until 1897 – a year after Mackay’s book was published – that Sir Ronald Ross discovered a malarial parasite in the gastrointestinal tract of a mosquito, an advance for which he won a Nobel prize. Malaria was still killing over 10,000 Taiwanese per annum as recently as 1909, when the island’s population was around 3.2 million. That year, the Japanese colonial authorities launched a program of compulsory blood tests and treatment of suspected and confirmed cases with quinine. Progress was made, despite an outbreak of the disease in 1915 so lethal it severely depressed the number of births the following year. In the 1920s, Japanese policy shifted from suppression by medical means to eradication of disease vectors. Communities were mobilized to destroy the habitats of mosquitoes by draining ponds and swamps. In 1937 – by which time life expectancy was approaching 50 and the population was over 5.4 million – malarial deaths totaled 3,716. However, the authorities were never able to reduce the overall infection rate below 2%. 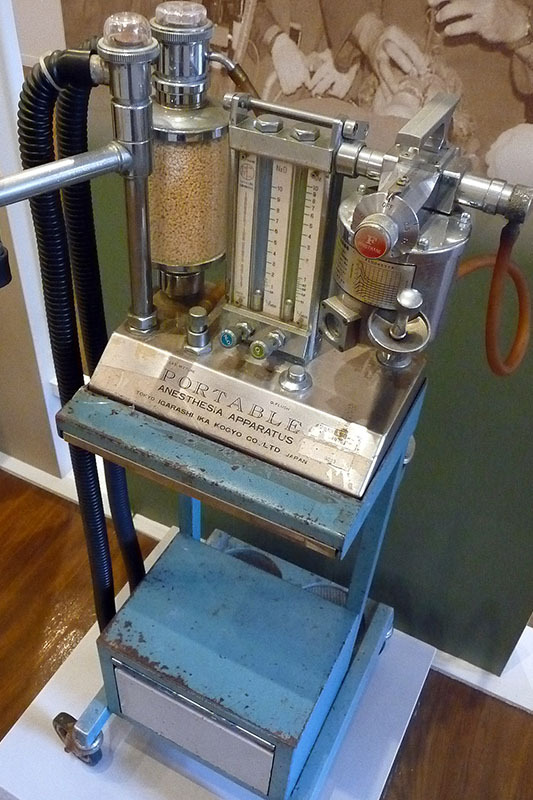 Many people were asymptomatic carriers who did not seek treatment, so they functioned as reservoirs for the parasite. When the colonial public-health system began to collapse during World War II, malaria unsurprisingly returned with a vengeance. Of the 6.5 million people living in Taiwan in 1946, an estimated 1.2 million were infected. Yet malaria was not the only illness rearing its ugly head at that time. The Nationalist soldiers and Chinese civilians that arrived on the island after Japanese surrender brought with them smallpox (2,040 deaths in 1946 and 1947, compared with one case and no deaths in 1942), the first cases of plague since 1918, and a surge in the incidence of tuberculosis. But the most urgent issue was the return of cholera, a quarter century after the previous significant outbreak. The 1946 epidemic killed 58% of the 3,809 people infected, most of them in the south. Helped initially by the International Health Division of the Rockefeller Foundation, and from 1950 by the Joint Commission on Rural Reconstruction (JCRR) and the World Health Organization (of which the Republic of China was then a full member), the Kuomintang government established what came to be known as the Taiwan Provincial Malaria Research Institute (TAMRI, 台灣省瘧疾研究所) to plan and execute malaria control operations across the island. The “attack” phase of the campaign kicked off in Qishan in Greater Kaohsiung in May 1952, and real benefits were soon apparent. “The idea of using the townships around Qishan as a control area had to be abandoned in 1953, as the dramatic effectiveness of the spraying operations led to demands for equal treatment,” stated a 1958 progress report compiled by TAMRI in conjunction with the World Health Organization (WHO) Malaria Team in Taiwan. “The public welcomed the spraying squads, but it was the dramatic disappearance of bedbugs, house-flies, fleas, and other domestic pest insects, rather than the reduction in malaria, that mainly secured such enthusiastic support,” the report noted. The number of confirmed malaria cases throughout Taiwan in 1956 was a mere 492. Victory was not declared for several more years, however. A reproduction of the December 4, 1965 letter from the WHO certifying Taiwan as a malaria-free territory is displayed in the Museum of Medical Humanities (MMH, 臺大醫學人文博物館) at National Taiwan University Medical College in Taipei. 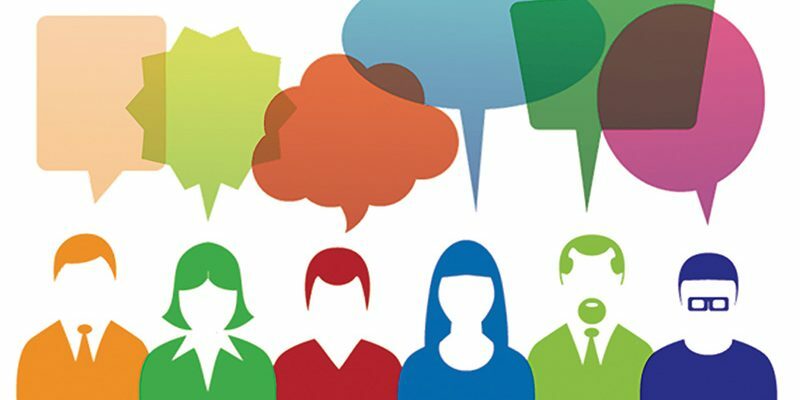 The MMH is open from 9:30 a.m. to 4:30 p.m. Tuesday to Sunday. A detailed timeline in the MMH covers the introduction of scientific medicine to Taiwan in the second half of the 19th century by missionary doctors such as James L. Maxwell and physicians employed by the Imperial Maritime Customs Service (IMCS). Maxwell’s first foray was in Tainan in June 1865, but after just 23 days he was forced to shutter his clinic. His offer to treat sick people for free resulted in an uncontrollable torrent of patients and near-violence from local herbalists and practitioners of traditional Chinese medicine. He was more warmly received on Qijin Island (part of modern Kaohsiung) and did not return to Tainan for nearly four years. Nevertheless, Sin-Lau Hospital (新樓醫館), a major church-linked medical institution in Tainan, considers its date of founding to be 1865. No doctor in the history of the IMCS made as great a contribution to field of medicine as Patrick Manson. In 1866, aged just 22, Manson took up his post in south Taiwan. The 16 Western residents of Takao (as Kaohsiung was then known) were his first priority, but he also showed a keen interest in the ailments that blighted many Taiwanese. From 1871 to 1878, Manson (a Scotsman like Maxwell) worked in Xiamen, where he treated multiple cases of elephantiasis, a condition seldom encountered in Taiwan. After examining blood samples through a microscope, he concluded that mosquitoes hosted the responsible parasite – a breakthrough that eventually led, not only to Ross’s discovery, but also the realization that the mosquito is the vector of other ailments, including Japanese encephalitis and dengue fever. The name of another Manson appears in local medical history. Patrick Manson’s younger brother David, also a doctor, died of sunstroke in Xiamen in 1878. Those who had known him raised funds and a year later the David Manson Memorial Hospital was established on the hill at the western end of Qijin Island, less than 500 meters from where James L. Maxwell had practiced medicine a decade earlier. The hospital was considered state-of-the-art but functioned for less than two decades. Even its precise location is uncertain, and can only be inferred from a few photographs. Much of what is known about the David Manson Memorial Hospital is shared in the Museum of Kaohsiung Medical University Historical Archives and Southern Taiwan Medical History (MKMU, 高醫校史暨南臺灣醫療史料館). The MKMU (within walking distance of Houyi Station on the Kaohsiung MRT’s Red Line and open Tuesday to Saturday, 10 a.m. to 5 p.m.) features a re-creation of one of the hospital’s consulting rooms, plus various medical instruments and extracts from reports. Upstairs there are profiles of 30 “Role Models in Medicine in Taiwan.” Not all were doctors or missionaries; among them are midwives and researchers. Sung Juei-low (宋瑞樓), a hepatologist who died in 2013, is here. He lobbied for universal inoculation, a policy that after 1984 brought Taiwan’s hepatitis B infection rate down from one of the highest in the world to a level comparable to Japan’s. He also determined that Cesarean section could reduce the incidence of maternal transmission of hepatitis B. South Taiwan has another site of interest to the epidemiologically inclined. The Blackfoot Disease Socio-Medical Service Memorial Hall (台灣烏腳病醫療紀念館, open Thursday to Sunday, 10 a.m. to 4 p.m.), a Japanese-style bungalow in Tainan’s Beimen District, celebrates the efforts of one man to combat a peculiar local health problem. Like the MKMU and the MMH, admission is free. Blackfoot disease (BFD) was caused by drinking well-water containing arsenic. Victims first noticed numbness in an extremity, usually a foot. 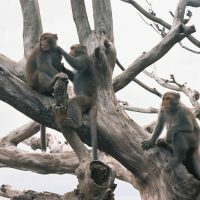 Eventually, due to severe pain and gangrene, the majority of patients had at least one limb amputated. The fact that BFD affected only certain people (no more than 1.4% of the population in the worst-afflicted village), coupled with Buddhist notions of rebirth and accumulated merit, caused many residents to assume it was a punishment for bad deeds in a previous life. Since the authorities began supplying the area with water from elsewhere, BFD has disappeared. The memorial hall is a stone’s throw from the clinic operated from 1960 to 1986 by Wang King-ho (王金河, 1916–2014), a local doctor and lay preacher. 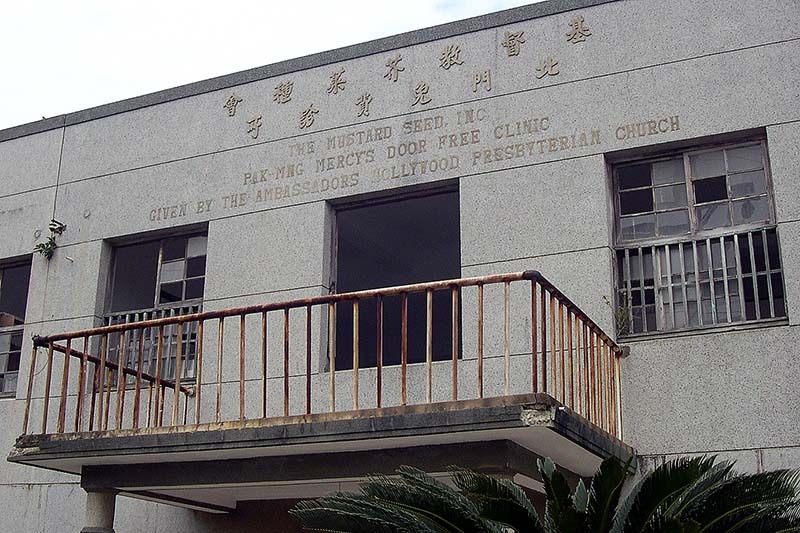 The clinic building still bears the English words: “The Mustard Seed Inc. / Pak-Mng Mercy’s Door Free Clinic.” (Pak-Mng is the Taiwanese pronunciation of Beimen.) Visitors can view a short film with English subtitles about Wang’s work, which included running a straw-mat workshop to provide jobs for BFD sufferers, and making coffins when indigent patients died. Many of the displayed items are labeled in Chinese only – but the amputated hand and feet preserved in formaldehyde need no explanation. One of Wang’s sponsors was Lillian Dickson (1901–1983), an American missionary. 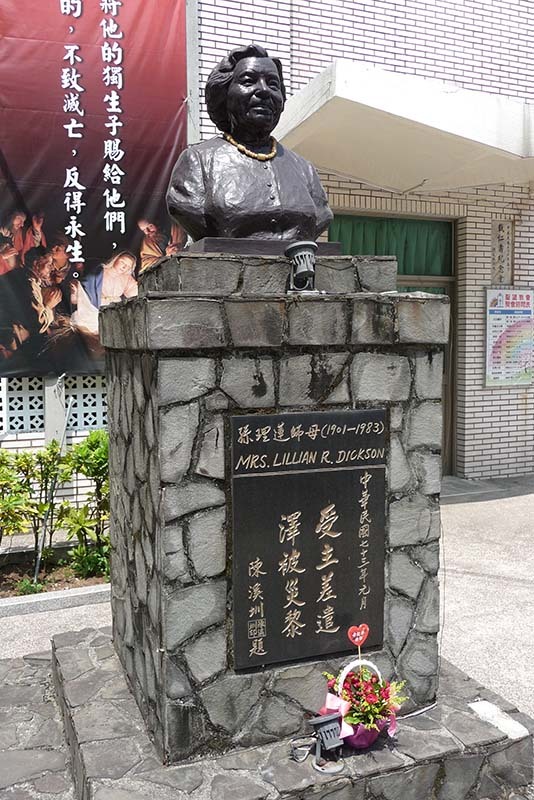 A bust of Dickson can be found at another institution where she often worked: Losheng Sanatorium (樂生療養院) on the border between New Taipei and Taoyuan. At the same site is a building dedicated to the memory of Lillian’s husband, James Dickson (1900-1967). Losheng, founded in 1930, is Taiwan’s only remaining leprosarium. Few people were aware of its existence until a row erupted over plans to demolish the older part of the complex so the land could be turned into a depot for the Taipei MRT. The announcement was met by protests; some thought kicking elderly leprosy victims out of their homes was cruel, while others argued that the historical and architectural value of the buildings justified their preservation. After delays and revisions to the plans, it now seems several of the more interesting structures will be safeguarded. Outsiders are free to wander around the “old hospital” so long as they respect the privacy of the residents. From Huilong MRT Station on the Orange Line, walk past the entrance to the construction site, turn right up the footpath, then right again over the narrow bridge. Some bungalows are still occupied; others are empty and unlocked but look unsafe. 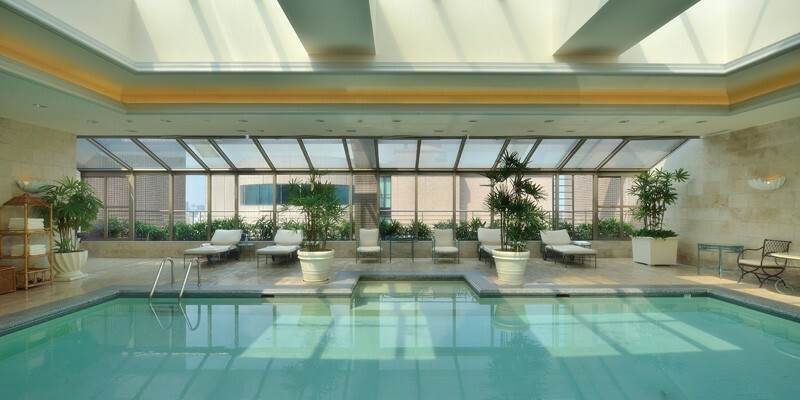 Unfortunately, there is no information on-site in English or Chinese as to the original functions of the buildings, which vary greatly in terms of style and material. Another leprosarium was founded in 1932 in what is now New Taipei’s Bali District. As the incidence of leprosy declined, Happy Mount Colony (樂山教養院) transitioned into an institution that continues to look after children and adults with significant mental and/or physical disabilities. The 80-year-old redbrick Presbyterian Church at the original location is a much-photographed landmark. Dr. George Gushue-Taylor, the Canadian medical missionary who led the colony for many years, is celebrated not only for his work here, but also for authoring the The Principles and Practices of Nursing, a 675-page textbook composed entirely in Pe̍h-ōe-jī (a Latin orthography used to write Holo). A copy of the book is displayed at MKMU. As recently as 1967, the authorities knew of 4,173 Taiwan residents receiving treatment for leprosy, 75% of them as outpatients. 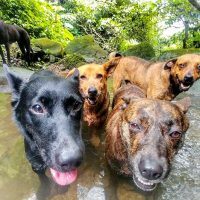 Since 2004, when the incidence rate fell below 0.5 per 10,000, the disease has been officially regarded as eliminated in Taiwan. Nonetheless, fresh cases are identified every year – a total of 100 between 2002 and 2013 – as the disease is detected in local patients in their sixties or seventies, foreign laborers, or immigrants. The Taiwan Centers for Disease Control (established in 1999 and modeled on the U.S. CDC) is responsible for preventing emerging infectious diseases like MERS-CoV from gaining a foothold on the island. At the same time, the Taiwan CDC tries to ensure that scourges from the past do not return. The authorities handle dozens of imported malaria cases each year, yet there has been no significant indigenous transmission since 1972. 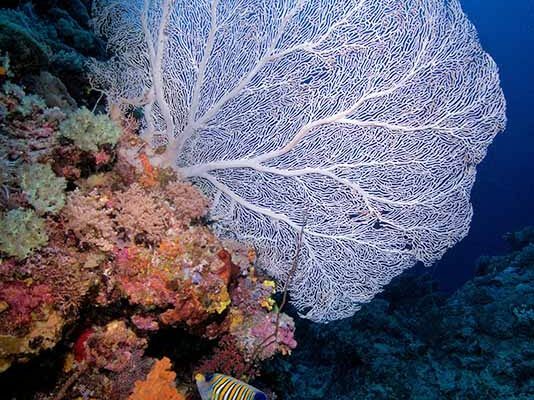 Having a climate in which tropical maladies thrive is Taiwan’s curse, but the seas that separate Taiwan from the continent is, in terms of disease control, a blessing. Dengue fever has been a particular problem in recent years. The 2014 outbreak (15,732 confirmed cases, 15,043 of them in Kaohsiung) was initiated by imported cases. The following year saw 42,572 dengue cases, almost all in Tainan or Kaohsiung. The death rate in 2014 was 1.65 per 1,000; in 2015, it was 5.15 per 1,000. The story of how once-common ailments, as well as intruders like SARS, have been brought under control is fascinating – and an epic that is still unfolding. 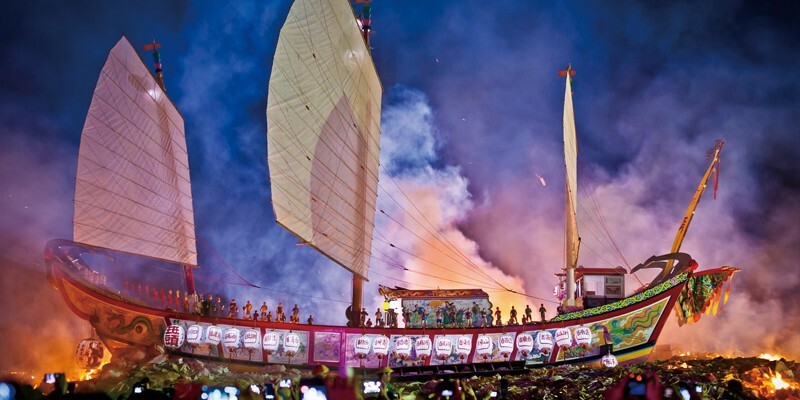 This entry was posted in Travel & Culture and tagged featured, history, public health, taiwan. Bookmark the permalink. 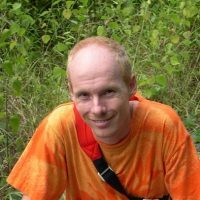 Steven Crook writes about travel, food, culture and business for magazines, newspapers and websites.